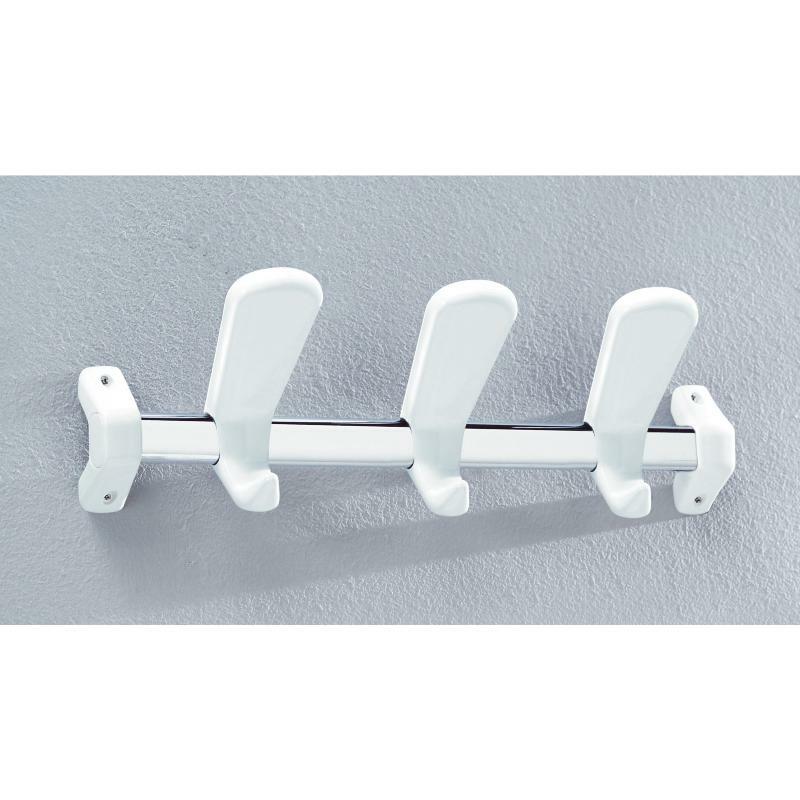 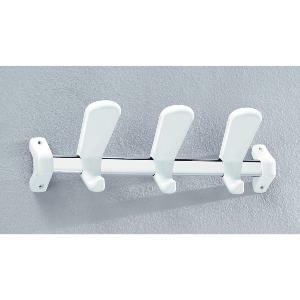 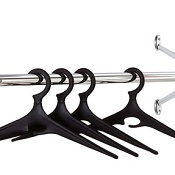 Stylish coat rail with 3 main hooks and 3 small hooks Consisting of a 15 x 30mm oval chromed support rail. 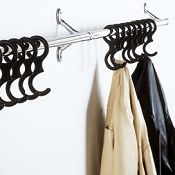 The hanging elements can be left free to slide or fixed in position by a screw at the back. 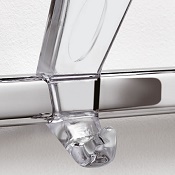 By removing the end support you can add more rails to create the desired length.